LJMU's MA in Graphic Design and Illustration advances your artistic development and helps you become a critically engaged practitioner. This course invites you to benefit from the tutelage of our industry networked academic team, dedicated to creating opportunities for you and the development of your artistic crossover projects. The MA focuses on the cultural shifts at the centre of a rapidly moving Graphic Design and Illustration industry. It has been specially designed to place craft and production activities firmly at the heart of its research and your development experience. You will examine and explore the role of independent visual practice within the context of an ever-increasing interdisciplinary profession. You will be expected to develop personal practice that challenges traditional perspectives on both Graphic Design and Illustration disciplines while, at the same time, engaging with industry partners that have established profiles in commercial practice. A particular emphasis will be placed on challenging and exploring media as a method of developing your professional practice and realising your career ambitions. Programmes from the School of Art and Design are fully collaborative aiming for cross-disciplinary practice across our suite of postgraduate subject areas: Architecture, Exhibition Studies, Art and Design, Fashion Innovation and Realisation, Graphic Design and Illustration, Fine Art and Urban Design. As a student you will creatively practice and network with a wide range of fellow students and a broad set of ideas and concepts. The Liverpool School of Art and Design offers students across all taught postgraduate programmes opportunities to apply for scholarships aimed at broadening student knowledge and experience. The Michael Pugh Thomas and Julia Carter Preston Legacy scholarships consist of a number of £1,000 awards and are open to full-time and part-time home and international students who wish to study for a postgraduate qualification in art and design with LJMU. Part-time applicants can only apply once over the two years of their course. To be considered for the scholarship, you must submit a 500 word letter to apsadmissions@ljmu.ac.uk after being formally offered a place on a Masters programme in the School of Art and Design. The deadline for application for 2019 entry is Friday 14 June 2019. Please ensure you include your name, contact details, the full title of the course you have applied to study on and 500 words stating why you should be awarded the scholarship, the benefits it will bring to your studies and any exceptional circumstances you face in studying for a postgraduate qualification. Further information for international students about finance, fees and scholarships can be found here. The School's main travel bursary for existing students, The Susan Cotton Travel Awards, consists of three European Awards of £1,600 and two International Awards of £2,300. The awards are intended to help you undertake significant domestic or international travel in support of your work and personal development. The awards aren't necessarily about academic study, instead they focus on the spirit of travel and adventure. Previous winners of the bursary have travelled to a tropical island to experience life at its most basic, cycled the length of the Danube, spent a month in Morocco and inter-railed through Europe. Deadline for entry to the travel awards are Monday 14 January 2019. This Masters is wholly geared towards facilitating a practical understanding of how you might exploit your own practice in the professional sphere. You are encouraged to engage with the networks which you are exposed to during the course to further your employment and career opportunities. On graduation you will be able to pursue a variety of careers in the established professions of graphic design and illustration. You will be equipped for traditional roles in graphics studios and creative agencies such as Senior Designer, Art Director, Studio Manager and Production Manager. The programme will also prepare you for self-employment and entrepreneurial ventures - ideal for those interested in pursuing an independent creative practice. This module is shared by all students studying on taught postgraduate programmes at Liverpool School of Art and Design and allows you to collaborate across programmes. You will have the opportunity to work closely with internal partners within the School of Art and Design, the wider LJMU academic community or external partners in the UK and internationally. Through key partnerships you will engage with a range of collaborative projects which challenge the notion of the interdisciplinary practice within the context of contemporary art and design and which enable you to propose, plan, organise, publish and promote your work within the context of an external body. The majority of your taught contact time will take place on a Tuesday and Friday, with an intensive period of teaching at the beginning of semester one as you commence the Collaborative Practice module. This unique module brings together students from across each of the School's postgraduate degrees. Teaching is individually tailored to each student. Your week will be divided between lectures, seminars, tutorials, workshops and independent study. You will engage with industry partners that have established profiles in commercial practice. Assessed work has been designed to ensure you fulfil your potential at this important stage of your development. There is a 75:25 split between practical and written work. Assessments methods include: presentations, proposals, practical projects, essays, artefacts, supporting documents and the dissertation. Research and textual material is assessed via blogs, written proposals and the dissertation. 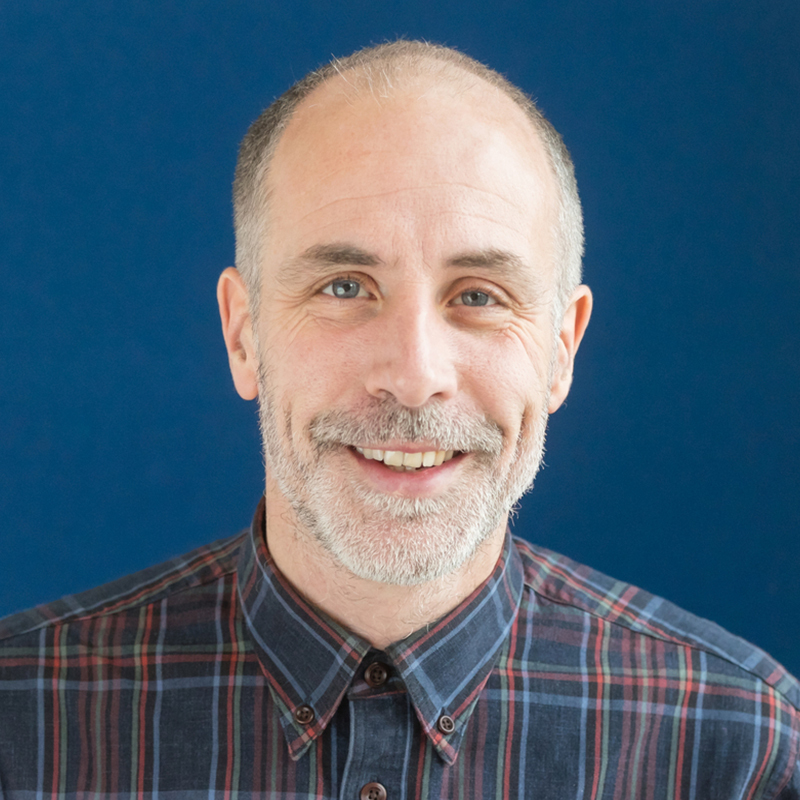 Since becoming a lecturer in 1998, Ian has exhibited and published works both nationally and internationally. Most notably Chinese Whispers – a unique experiment to create a family of fonts designed collaboratively by international participants through the generative online process of Chinese whispers. The project featured on Creative Review's first DVD Rom ‘Creative Review DVD01’ in 2001, and subsequently in numerous design and typography books and journals. His films and typographic animations have been screened in New York, Seattle, San Francisco and Berlin. Elements of this research have been applied within a professional context in collaboration with a number of North West design agencies developing typefaces for communication campaigns such as Tate Liverpool’s Picasso Peace + Freedom exhibition. I particularly enjoy seeing graduates go on to have successful careers within the creative industries. I also love being able to bring some of the world’s most respected and well known designers, illustrators and graphic artists to the university to lecture and teach our students. The programme is based in the Liverpool School of Art and Design’s John Lennon Art and Design Building, a purpose-built facility based in the Mount Pleasant Campus, which brings together each of the varied disciplines studied at the School. The content of your application should demonstrate that you have a sufficient level of knowledge to embark upon the programme (including the required linguistic competence) and complete it within the time limits. In exceptional circumstances applications by mature graphic designers, illustrators and artists without sufficient qualifications will be considered. You will need to provide evidence of your learning capability at interview stage. You will also need to demonstrate your commitment to a postgraduate programme of study. Interview days usually commence at 10am and finish by 1pm at the latest so please prepare to be here until this time. You will have the opportunity to discuss the programme in detail with the staff and have the opportunity to be shown around the building and facilities. It is our aim to ensure you leave us with sufficient knowledge to make an informed decision. Tutors will evaluate your suitability for the course through the work presented and by discussing your interests, the influences on your work, and your ambitions for postgraduate study.